hi, my name is Kasey + I like to experiment with the sunset as my natural lighting, I didn't actually burn my dessert. 1/2 a stick of butter [err, 1/4 a cup?] melted! Okay! Don't forget to preheat the oven. I always forget. Follow the instructions on the crescent rolls, usually it's 375, sometimes different brands try to pretend you need to set the oven special... 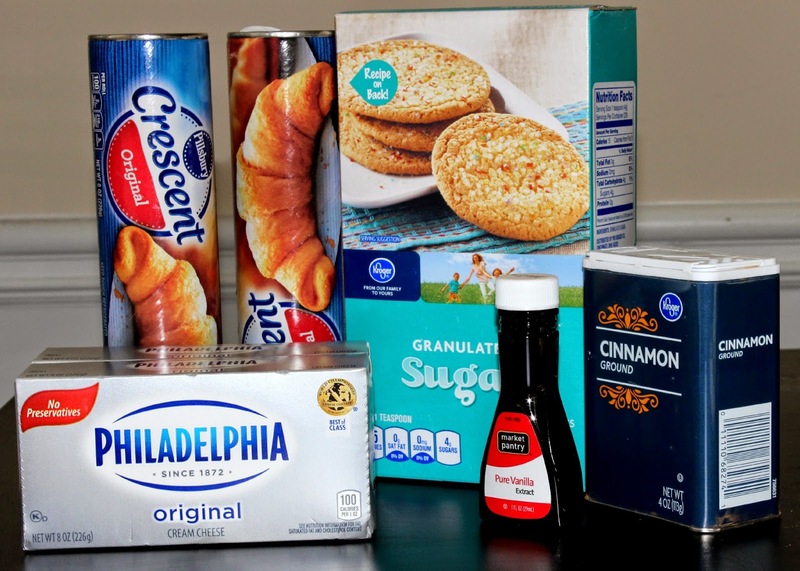 In your mixing bowl, mix the cream cheese, one cup of sugar, and vanilla extract! This is a little tough, because cream cheese, so I definitely recommend a hand mixer or whatever, but a fork works just as well AND you get a workout. In your greased pan (I used my casserole dish because my teflon baking pan made a bigger mess when I tried to wash it...) line the bottom with the first can of crescent rolls. 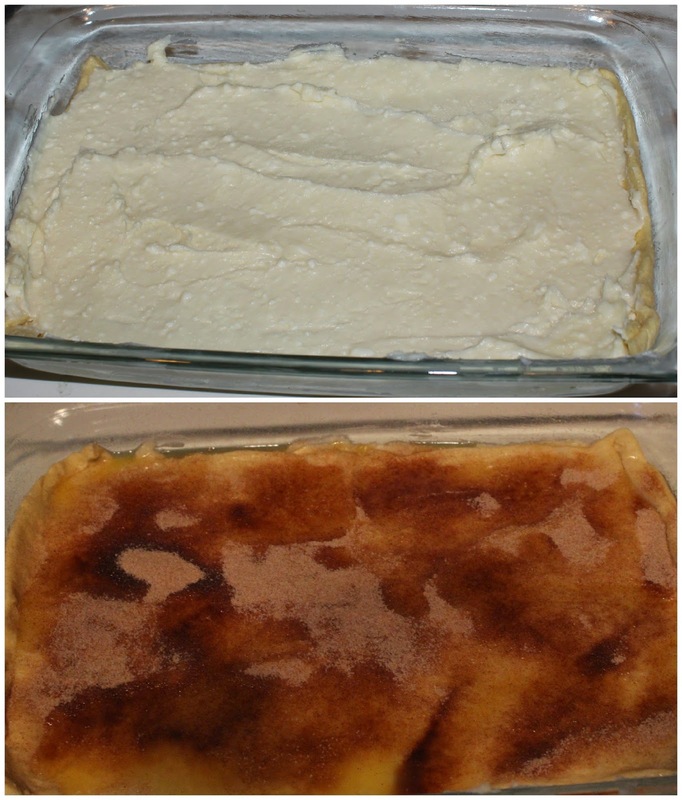 try to squish the seams together, it doesn't impact the taste, but it sure looks prettier... 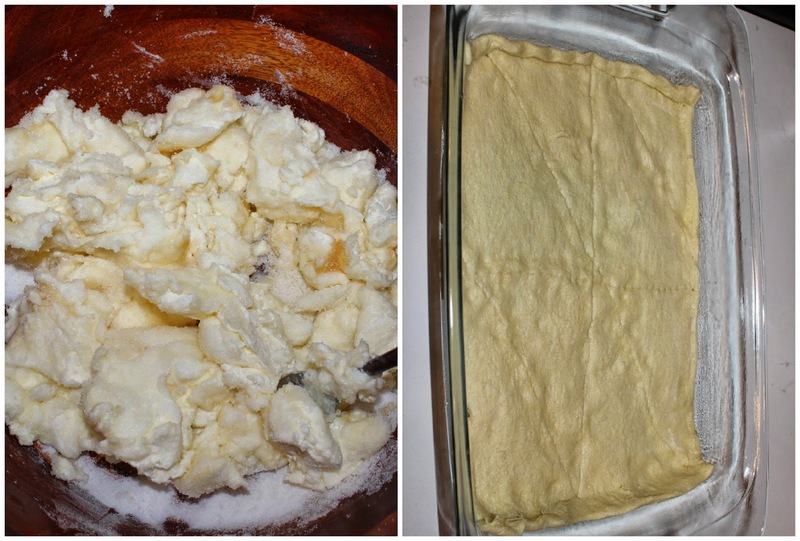 Spread the cream cheese mixture over the first layer of crescent rolls. Pro tip (hahaha, I'm not a pro..) -- if you don't already have one, invest in a rubber spatula, it spreads the filling easily AND helps you get all of the yummy insides off the mixing bowl. There! Now tell everyone that you made the whole thing from scratch and you definitely didn't use crescent rolls instead of hand making some overly fancy pastry level so that you can really call it cheesecake. I won't tell anyone. Also! Let me know how yours turned out! Don't forget to take at least 50 pictures to find the perfect instagram shot... I mean...! it is definitely a crowd pleaser, I mean can you really go wrong with sugar, cream cheese, and vanilla?